Hi! There's so much I love about Friday Favorites. It's like a practice in gratitude for me. Take for example the fact that this week started off difficult and was hectic, but when I start writing about my "favorites" I realize there was more blessing than burden. I guess it's all in how you look at it! 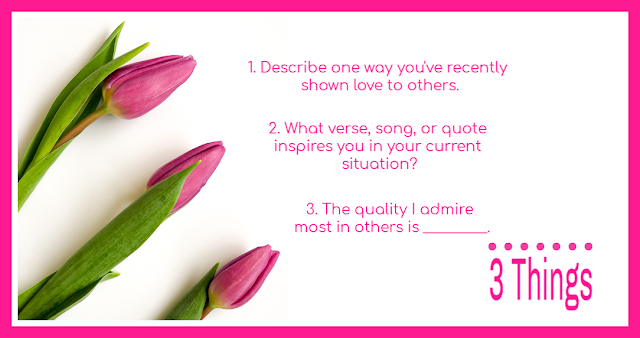 For another, I love hearing from YOU and what your favorites are. So without further ado, I'll share my four favorites! Hello friends! Monday I was delighted to highlight another goal for 2019: Cultivate Meaningful Relationships! I've truly enjoyed being intentional in what I believe to be one of the most important areas of life - the people. 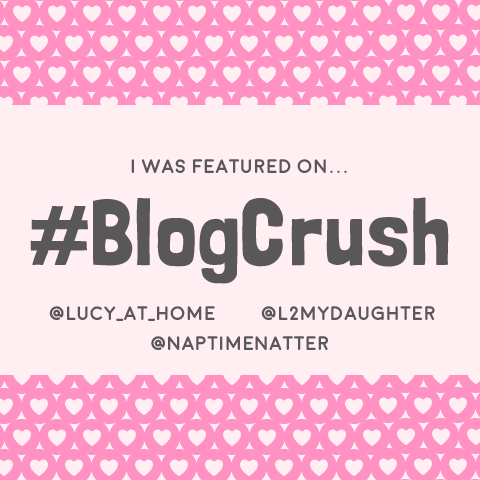 That being said, the day went haywire quickly after I clicked "publish" on the blog screen. The dog chewed my favorite bra by Third Love, one of my shoes, the hubby's new hat, and his ear buds. She was on a chewing rampage! Then to remove all that attention from the poochie mayhem, my middle son dropped his iPhone into the pool. Needless to say, there were not a lot of happy campers around the house and the last thing I wanted to do was hang around for meaningful moments, but I think that's all part of it, right? Hi! 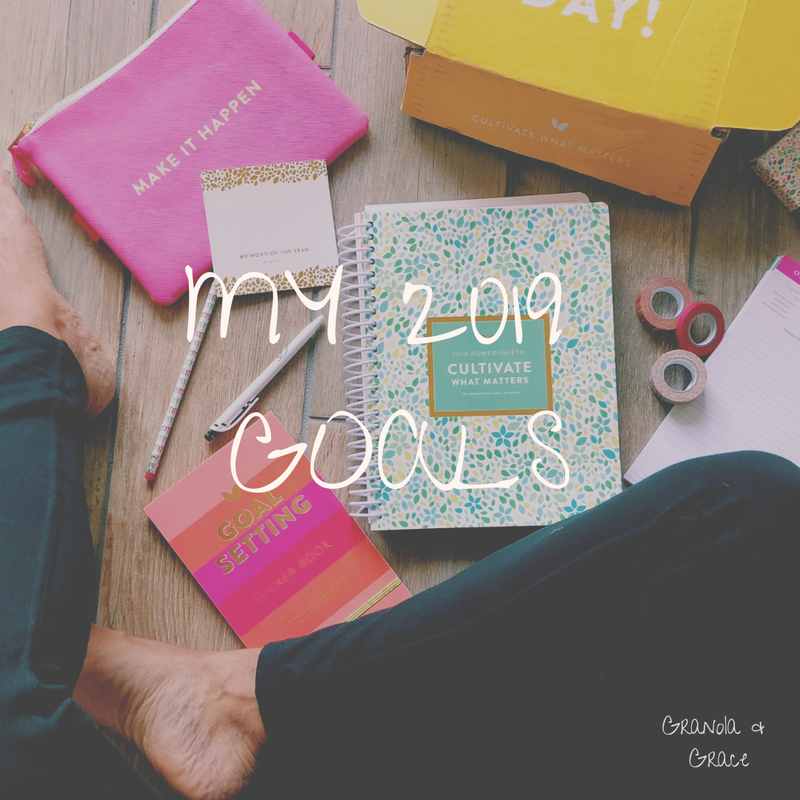 The New Year has come and gone, so why am I still posting on goals? Well, last month I shared my goal line up for 2019 with the intent to highlight each goal in detail on a monthly basis. This is one of my new tactics to prevent veering off the goal track by March! My hope is that I'll keep myself accountable while inspiring others along the way! That being said, I thought I'd land on "Cultivate Meaningful Relationships" this month, mostly due to how many birthdays we celebrated! Sharing my progress and even encouragement that encourages me. This week I will be short, sweet and to the point or my family will revolt. I wanted to squeeze in an updated post on my Saranghae journey over the past year and decided to add a YouTube video as well! Let's just say that I've long filled my quota for the week with my face in front of a computer. But I also want to say that I woke up Thursday morning with an giddy feeling of relief mixed with satisfaction - I did it. And in between the picture taking, video editing, writing and my other daily obligations I had a few "favorites" that brightened up my day. Does this dress look familiar to you? If you popped in for a visit back in December, you may have seen me wear it for a Christmas dinner outing with my hubby. 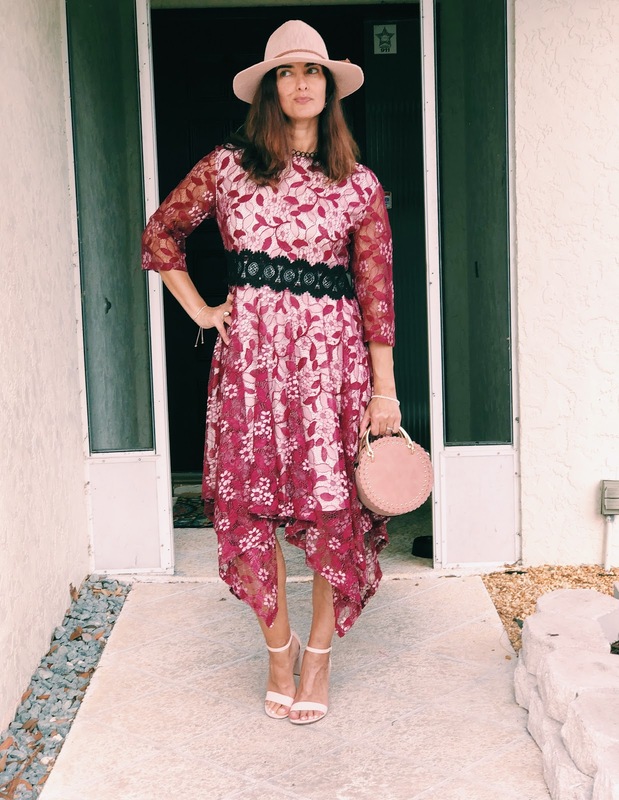 I wasn't sure when or what that occasion would be, but when my eyes landed it on while dressing for the day I immediately thought of Valentine's Day - duh! 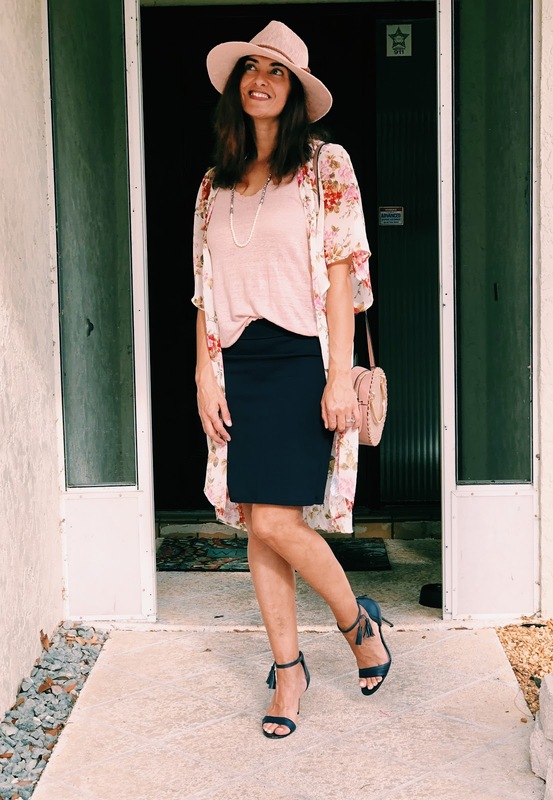 The wine red and pink colors are perfect, so I decided to try two looks for this Eva Trends gem, which just so happens to be on sale right now for $57.99! 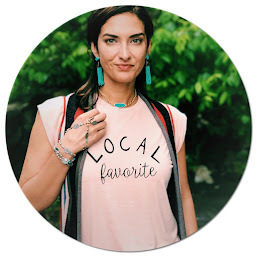 ( Use my code CR15 to save an additional 15% off!) Join me for stepping out on the town inspiration - OR staying in - and a photo shoot directed by 9 year olds! Once upon a time, I attended a local MOPS (mothers of preschoolers) community group and landed on the leadership team for awhile. If you asked any one of us what our favorite MOPS day was, the most popular response would be "My Favorite Things!". At the end of the year, the leadership team would feature their favorite things. It could be anything from coffee creamer to their favorite lipstick. There were times when a "favorite" was share with the whole room, just like on Oprah. "Everybody gets one!" And when I was on the team, I would rewrite the words to Sound of Music, "My Favorite" things song and sing it. Yeah. I had no shame. 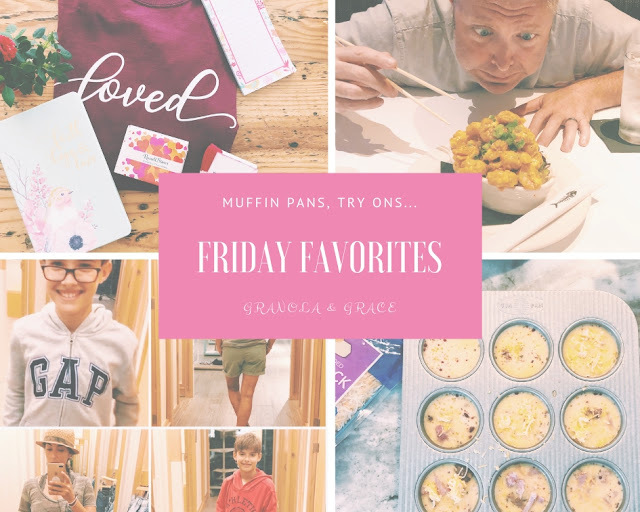 And don't think I haven't thought about doing the same thing for the Friday Favorites. No worries my dears, you will be the first to know when I do. 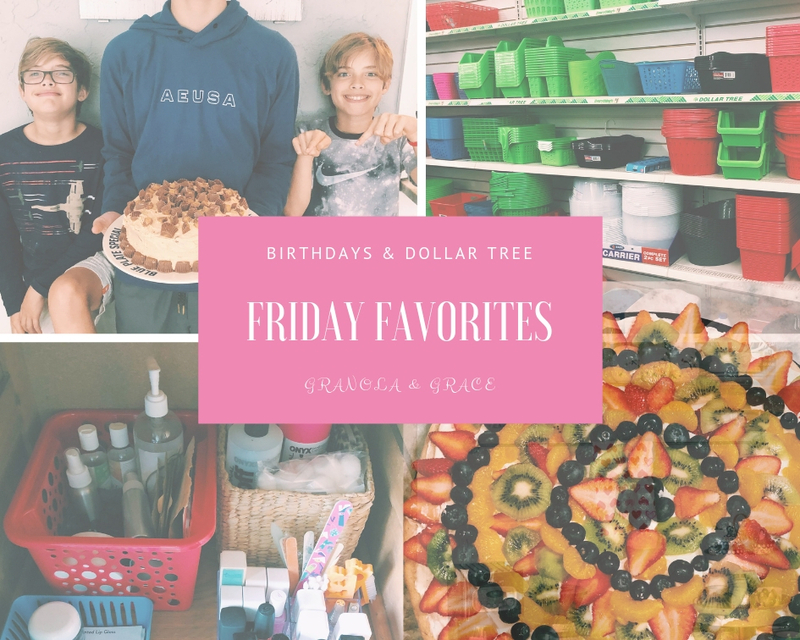 Until then I'll share this weeks favorites on birthdays and Dollar Tree organization, in the customary fashion. When I think of Valentine's attire I imagine vivid reds, soft pinks, and of course hearts - not so much blues and certainly not camoflouage. However, when your closet is your most shopped store, you go with what you have and get creative - even if it is blue! 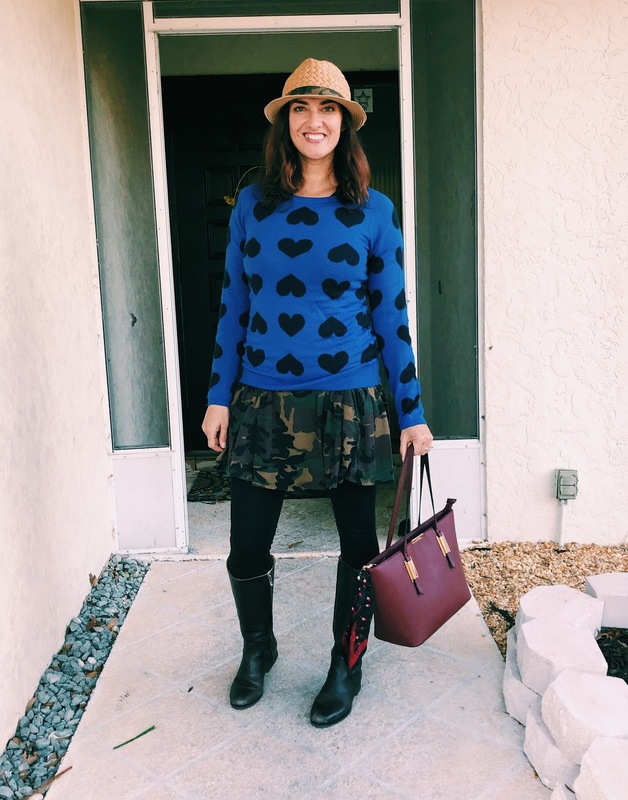 This is how the Blue heart sweater from the Limited becomes my inspiration for an atypical outfit to wear for the Valentine "season". How did I end up with camo and a hat? Come on, I'll tell you all about it. Hello my dears! 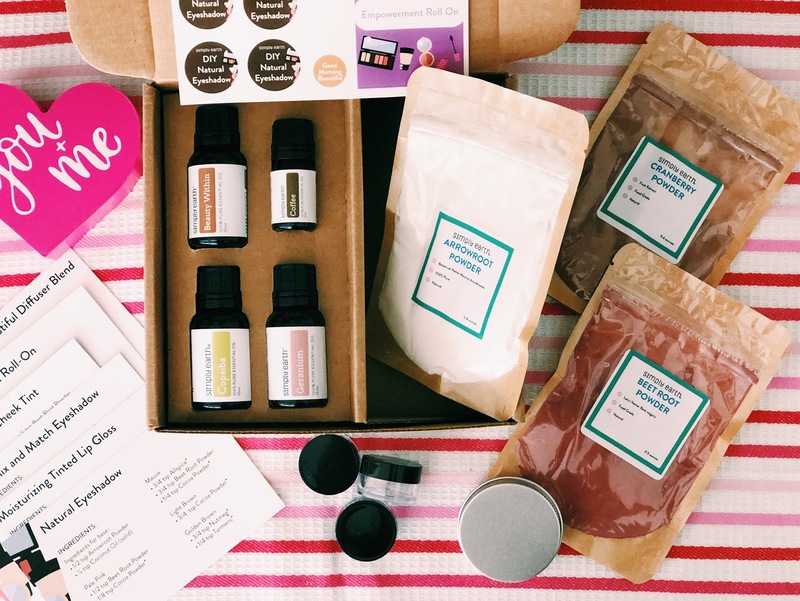 Once again I'm delighted to share a creative Essential Oil recipe box from Simply Earth. Last month my skin relished the extra spoiling with homemade body butter, lip scrubs and chapsticks, which perfectly prepared it for this month's "barn painting". Ever heard that expression? I lived in the south for most of my life sooo...anyway, all that to say, this month we are playing with makeup!!! I did it! 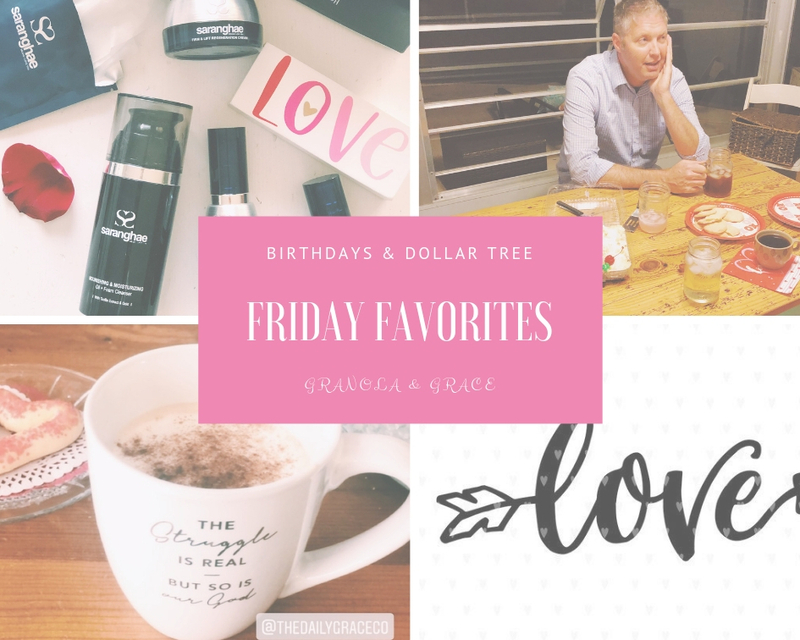 I hopped on the Friday Favorites train. Being that I love seeing others share their favorites, I had to ask myself why am I not sharing mine. Honestly it all came down to "one more thing". Can I add one more thing, but once I started compiling a list of favorites I got all excited. 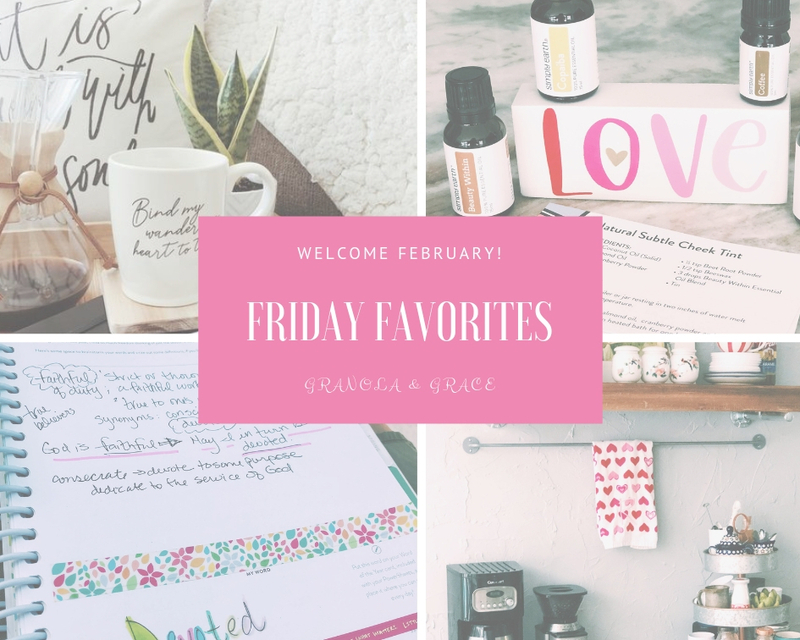 So join me today for my February loves - from home projects, random coffee loves, dates with the hubs and the youngers to my favorite DIY in skincare!